The MK series offset tractor mounted brush mowers are pto powered 5 ft. and 6 ft. mowers mounted on an articulated arm to give you extended reach. 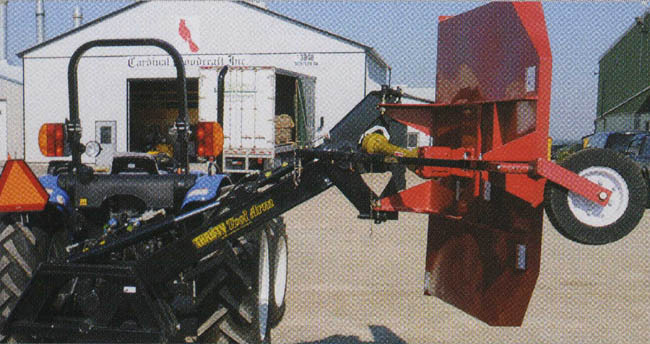 The pendular mounting of the mower deck enables the cutter deck to follow the contour of the ditch when the control cylinder is in the float position. The arm offsets the mower deck 84 inches to the right to let you mow in ditches and closer to water using your tractor and the brush mowing deck which allows you to mow heavy weeds and brush fast and efficiently. Cutting decks use swinging type brush blades for cutting heavy weeds and light brush, blades swing back when hitting heavy obstacles to protect blades, mower spindle, and pto shaft the maximum cutting capacity is 1 inch in diameter. Lift arm is articulated using two hydraulic cylinders, you need two remote hydraulic outlets (or minimum one using a diverter/selector valve) to plug in 4 hydraulic hoses. 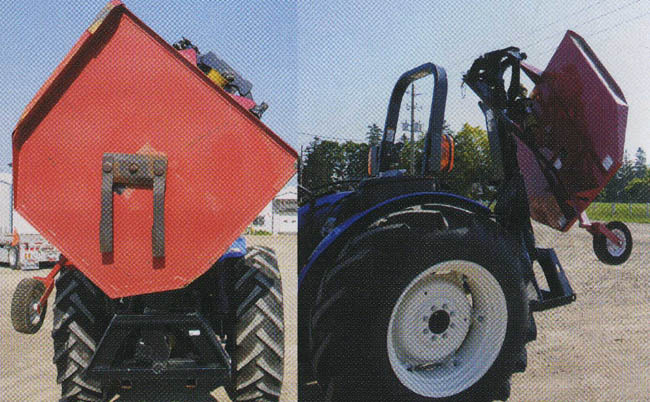 Large cylinder closest to tractor lifts mower off the ground and/or into transport position, the smaller cylinder closest to mowing head rotates the mower deck down to horizontal position or turned out up to 90 degrees so you can cut in the vertical positon. When the small cylinder rotates the mower deck into the normal flat mowing position (the small cylinder fully extended), the pendular mounting of mower on end of offset arm allows the cutter to follow the contour of the ditch at up to a 55 degree angle. When the small mower deck cylinder is fully retracted, this rotates the cutting deck facing out and vertical so you can drive along side growth and mow in the vertical position. 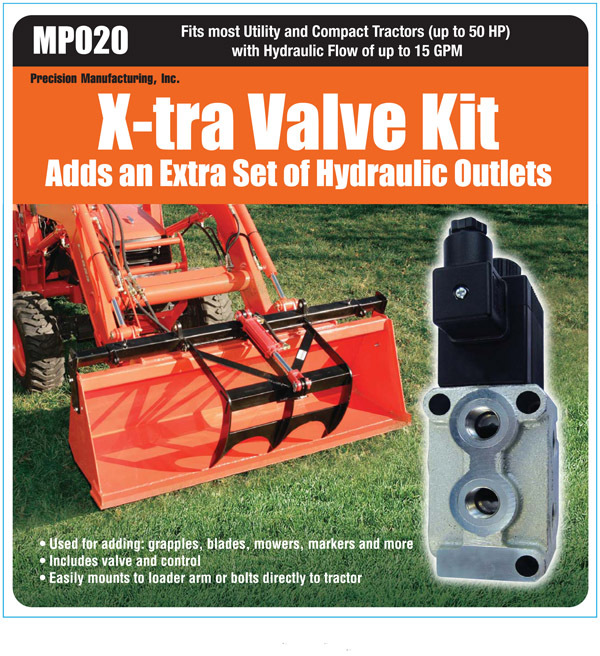 The valves listed below are selector/diverter valves; a typical installation would be to attach the hoses from the tilt cylinders on the bucket to two of the ports on the front of the valve, and two hoses from the grapple to the other two ports on the front of the valve. 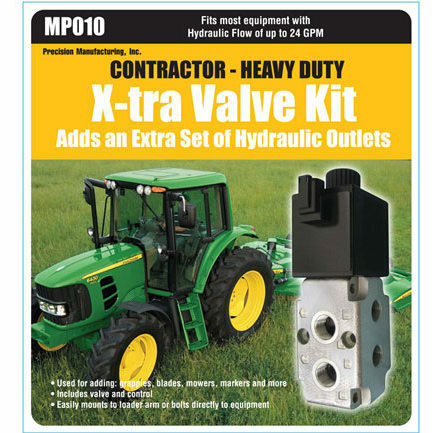 The remaining two ports on the valve should connect to the loader valve. 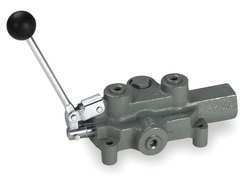 When the selector valve is activated the flow can switch back and forth between the tilt cylinders and the grapple cylinders. 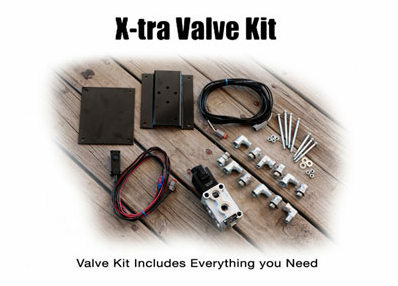 Electric Selector Valve Kits: The electric selector valve kits include a high quality Italian made Rexroth 6 way valve with a 1 year warranty. 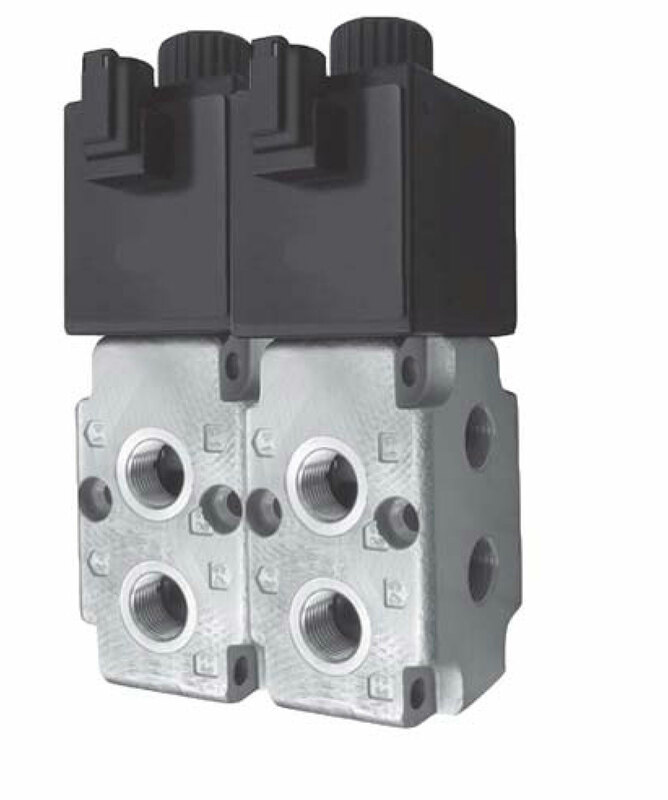 Rexroth valves are a high quality valve designed to take the hight pressures in hydraulic systems and to last for many years. The kits also inlclude the valve mounting brackets, fittings, and wiring harness.